The emergency card only gives permission for certain named individuals to pick up your children if they are sick, but does not authorize them to take short-term custody if one or both parents are killed or become incapacitated. Without having alternate arrangements in place, children in this situation would likely end up spending at least some time with social services. Parents should create an emergency plan to ensure their children are in the right hands if tragedy strikes. With this plan, parents can rest easy knowing their children will be cared for in the manner they choose. Parents should name short-term guardians who have legal permission to care for their children until a parent or other long-term guardian is available to take over. This individual should be someone who lives nearby and can aid your child in an emergency. You can establish this by completing a temporary guardianship agreement or authorization, preferably, with the assistance of a qualified attorney. 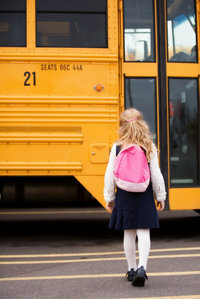 In addition to listing individuals who are authorized to pick up your children from school, it is also vital that you list the full contact information for your authorized temporary guardians. In the event of a true emergency, this guardian can step in immediately to care for your children.